The sixth stage of the Tour de France connected Abbeville (Somme) to Le Havre (Seine-Maritime) and it was once again a great moment of online betting. The day was marked by the abandonment of the yellow jersey Tony Martin after a fall and the victory of Zdenek Stybar (Quickstep-Etixx). The classification of this 2015 edition of the Tour de France risks to be upset by abandonment. Indeed, these falls will have important consequences on the rest of the race. After six days of racing, 187 of 198 cyclists will take the start on Friday for the 7th stage from Livarot (Calvados) to Foug�res (Ille-et-Vilaine). The yellow jersey Tony Martin was one of the riders who had to leave at the end of this 6th stage after a fall in the last kilometer of the race. Tony Martin is the second yellow jersey of the Tour who was forced to abandon after Switzerland's Fabian Cancellara. The latter fell last Monday during the 3rd stage of the Grande Boucle. 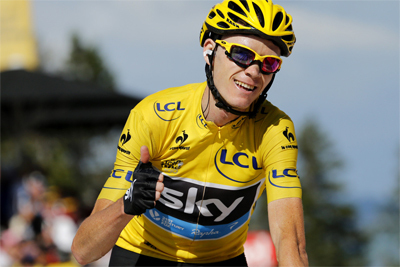 The Briton Chris Froome is the yellow jersey at the start of the 7th stage. But as the rule points out, he has the choice whether to wear the yellow jersey at this stage following the abandonment of the yellow jersey or not. The stage of this Friday is ideal for road-sprinters. Froome remains the favorite in sports betting over the past six days, but the last line and the wide flat at the entrance of Foug�res should benefit from the heavyweights pack such as the green jersey and double stage winner Andr� Greipel (Lotto -Soudal), John Degenkolb (Giant-Shimano) and Peter Sagan (Saxo-Tinkoff) who could express themselves.